Police investigate reports of large cats in Camden Co.
WINSLOW TWP., N.J. (WPVI) -- Police are investigating possible large cat sightings in Winslow Twp., Camden County. Witnesses believe the animals to be mountain lions, investigators said. 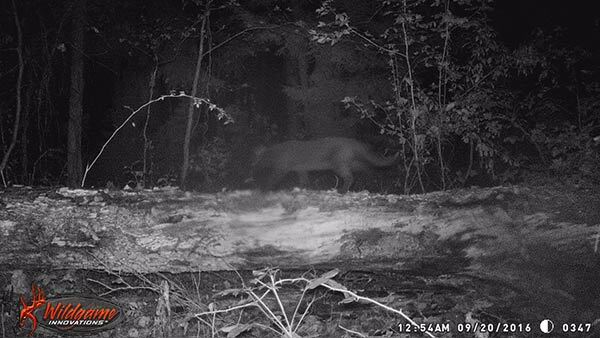 Grainy images obtained by police show what appears to be a large cat, but police say it's not possible to determine what kind of animal it is. Police are investigating reports of a large cat in Camden County. The sightings were reported near the border with Hammonton. Officers point out that mountain lions were once indigenous to the area, but haven't been seen there for many years. Police say there have been no reports of contact between people and the animals. "At this time we don't believe that the animals pose a threat to people but we suggest that everyone use sound judgment and reasonable precautions with their children, pets and themselves," Winslow Twp. police said in a news release Monday morning. They ask anyone with sightings or evidence of the animals to contact Winslow Township's Animal Control at 609-567-0700 ext 1500.